Millie on "Live From Prairie Lights" (September 17, 2007), hosted by WSUI AM910, a Public Radio Broadcasting Service of The University of Iowa and Iowa Public Radio (IPR). And we think we have it tough. Mildred Armstrong was born in 1922, on a farm near Garrison, Iowa. When she was five, her grandfather banished her father --- sent him packing so completely that his kids never learned when or where he lived and died. When she was eight, her region was struck by the Depression, freezing winters and raging winds. And there they were: grandfather and grandmother, a harried mother, and four children, none older than ten. When you finish Mildred Kalish's lovely memoir, you might not want to leave. We didn't. We wanted to pitch our tent in its pages and just stay there, lingering with her stories and the odd comfort they bring. The subtitle, which is as good a summary as any we can give, is Hard Times and High Spirits on an Iowa Farm During the Great Depression. Millie was 5 when she went to live on one of her grandparents' small farms with her mother and siblings, her father having committed transgressions that led to divorce (no small trauma in the late 1920s. Their new life with their extended family involved work, thrift, responsibility, respect for elders and a sense of privacy that bordered, Kalish says, on "emotional austerity." The children did chores and slept in unheated rooms. They used a windmill for water, a woodstove for cooking, an outhouse year round. Kalish describes it perfectly, with quiet joy but little sentimentality. As she says, "What a tonic memory can be." Grant Wood, "The Music Man," Donna Reed: Has any state contributed so bounteously to American culture as Iowa? Well, maybe Mississippi, but if Iowans can't sing the blues, they sure can write about 'em. The 1930s -- simultaneously the age of the Great Depression and the heyday of Iowa regionalism -- is now the setting for two memoirs of Iowa farm life. Listen to Elizabeth Gilbert's podcast. For a first-time author, Mildred Armstrong Kalish is on a roll. Mildred Armstrong Kalish's new memoir offers a warm-hearted retelling of life on a Depression-era Iowa farm. Two new books remind readers how closely most Americans used to be connected to the land. Little Heathens was an American Booksellers Association BookSense Notable nonfiction title for July! Each month, independent booksellers nationwide choose the most noteworthy of recent books, a selection based on hundreds of booksellers' recommendations. It would have been enough, she thought, just to get her childhood memories down on paper to give to her grandchildren. Pull together some family recipes and recollections and maybe make enough copies to distribute to cousins still living around the old home place in Yankee Grove, Iowa. But the book gods smiled upon Millie Kalish. 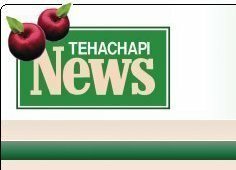 Like other children who grew up during the Great Depression, Kalish learned how to pinch a penny. At age 5, she moved with her mother and siblings to Yankee Grove farm in rural Benton County, near Garrison, to live with her austere pioneer grandparents. In the 1930s, Iowa farm life meant "waste not, want not" in order to survive economic tough times. Lessons learned the hard way are often the most valuable, Kalish says, and now she marvels at her families' inventiveness and resilience. She learned to endure deprivation without complaint, respect God, to "use it up, wear it out, make it do or do without." Cupertino resident Mildred Armstrong Kalish penned "Little Heathens: Hard Times and High Spirits on an Iowa Farm During the Great Depression" because she had known all her life that this was the book she was meant to write. The wisdom it shares; The feeling of satisfaction and accomplishment. Leaves you wanting to know more. This is a very nice book about a woman who lived through the Great Depression and loved most every minute of it. What must it have been like to grow up during the Great Depression? Have you ever pondered that question? I certainly have, but I was born long after this era came to an end and my primary source of information is from grandparents and others who lived through the 1930’s and are quick to share their personal experiences during this time of economic difficulty. But not everyone who lived through the Great Depression has tales of gloom and despair. Some families thrived while others didn’t necessarily prosper, but managed to make the best of a bad situation by coming together as a cohesive unit. 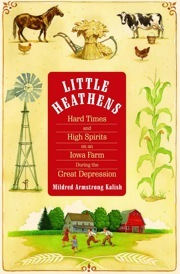 In this book, Little Heathens: Hard Times and High Spirits on an Iowa Farm During the Great Depression, author Mildred Armstrong Kalish shares her experiences as she reflects on her life and the lessons she learned as a young girl growing up in a strong family.